3" Candle Stick 2pc Lot New Raw Unfinished Wood Craft Holder Made in USA! 5 pc Set New Raw Unfinished Wood Craft 1" Star Lot Made in USA! 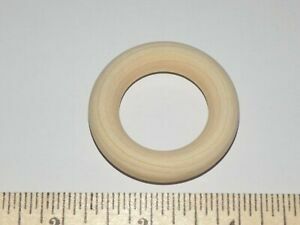 New Raw Unfinished Wood Craft 2-1/4" Toss Ring Made in USA! Hen Egg New Raw Unfinished Wood Craft 2-1/2" Made in USA! hometownvintagecom has no other items for sale. Details about New Raw Unfinished Wood Craft 1-1/2" Toss Ring Made in USA! New Raw Unfinished Wood Craft 1-1/2" Toss Ring Made in USA!